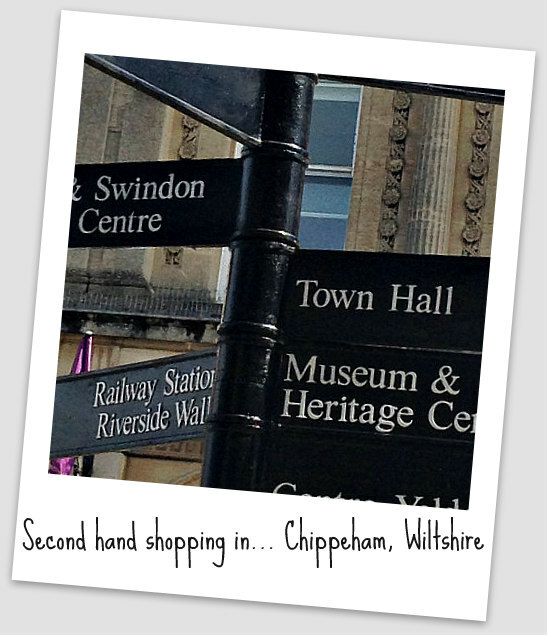 While I spend quite a lot of time browsing the second hand shops in Bath, I’m also known to do some charity shopping in the market town of Chippenham. This Wiltshire town is only eight miles from where I live and, unlike Bath, has a lot of those useful cheaper shops such as Wilkinsons and a large Poundland – as well as a good range of charity shops. 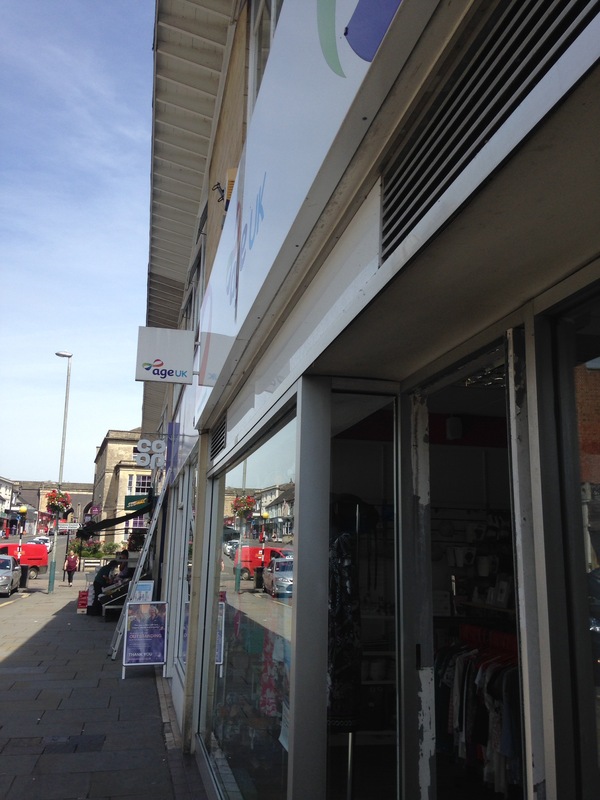 At one end of the High Street (closer to the train station) is a small grouping of four charity shops. Further along is the Oxfam shop. Oxfam shops never disappoint. They always have a good selection of clothes and homeware and, in most cases, a large dedicated book section. 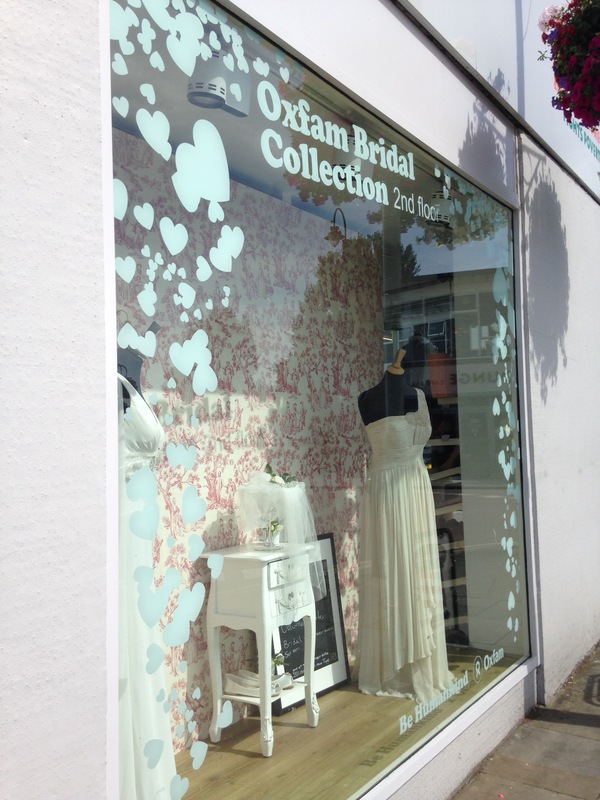 This Oxfam also has a bridal department downstairs. 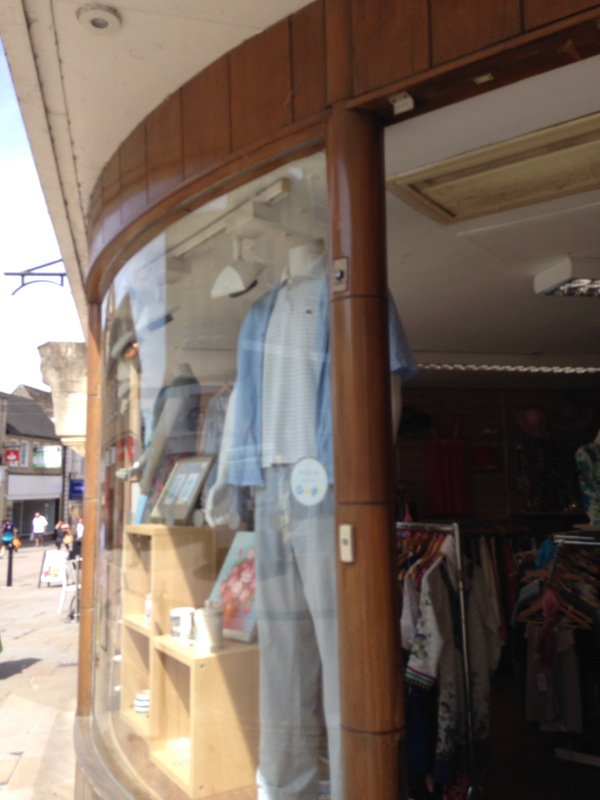 The rest of Chippenham’s charity shops are located in the pedestrianised part of the High Street. British Heart Foundation is centrally located. 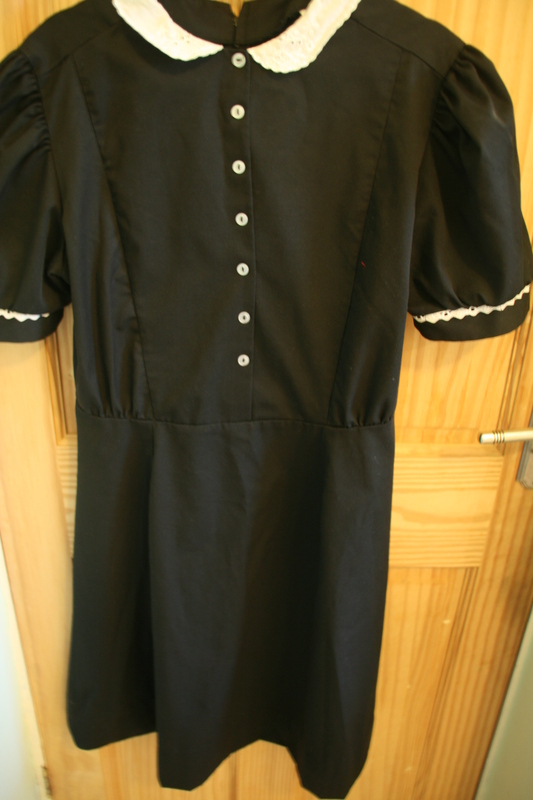 Although it is quite small it has a large selection of clothing. 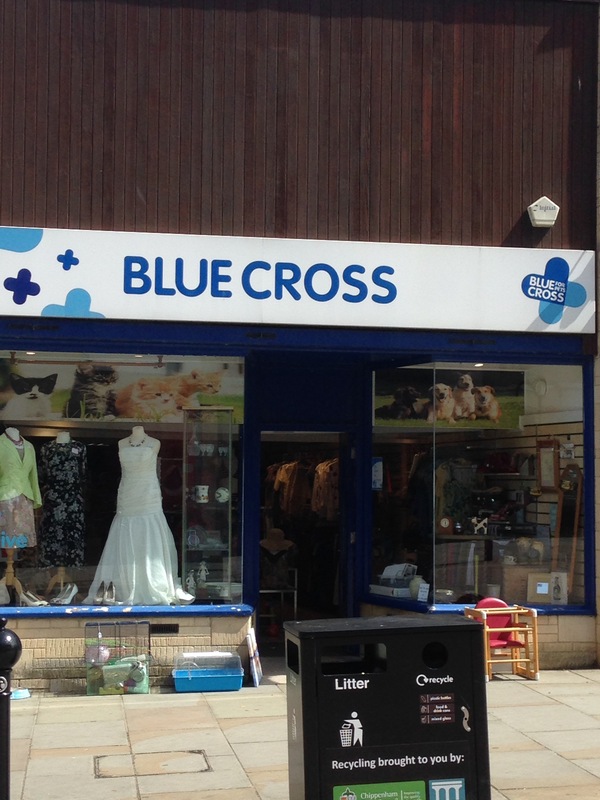 Further along is the Blue Cross shop, which sells vinyl as well as clothing, toys, books and homeware. My personal favourite, though, is the Julian House charity shop which opened a couple of years ago. Julian House is the Bath based charity which works with excluded people; one of the projects it runs is a homeless hostel in Bath (see also Chippenham’s Doorway Project which works with homeless and vulnerable people). I recently picked up my favourite Henry Holland dress from this shop and, although not as cheap as other charity shops, its clothing section is well worth a browse. 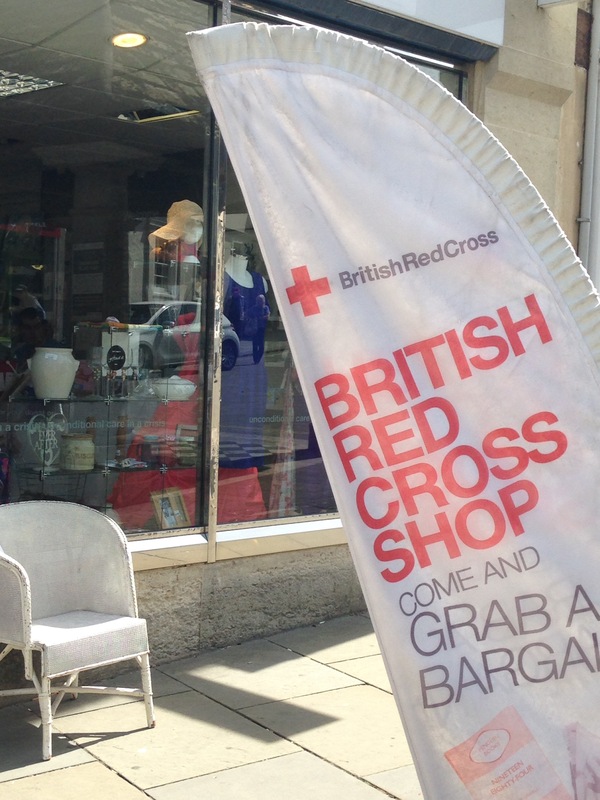 Beyond Julian House is the Red Cross Shop. 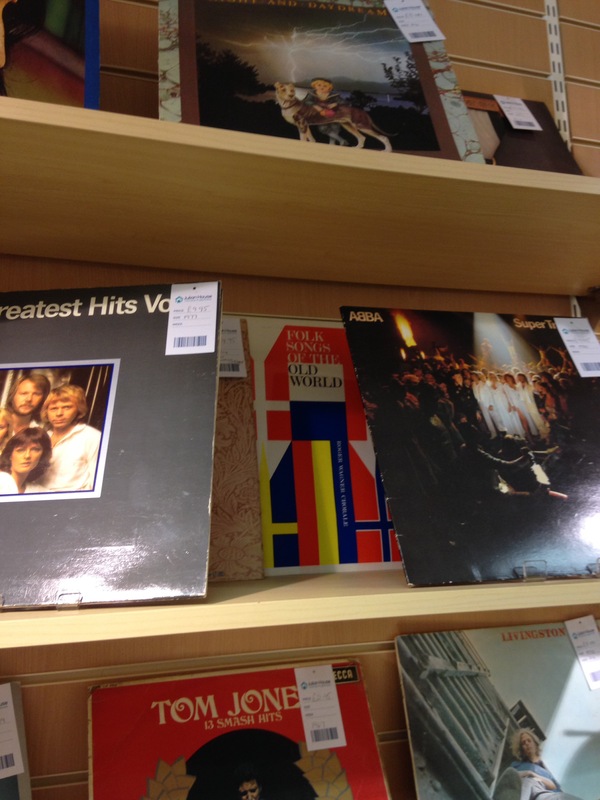 In the past I’ve picked up some great LPs from here. Not pictured, and located beyond the High Street, is Magpie Vintage: a second-hand shop selling vintage clothing, homeware and, upstairs, a dedicated music department. And beyond that is Chippenham’s other record shop, Scratch the Surface, which sells new and old vinyl. Finally I can’t talk about charity shopping in Chippenham without mentioning the dedicated second hand furniture and electrical stores. 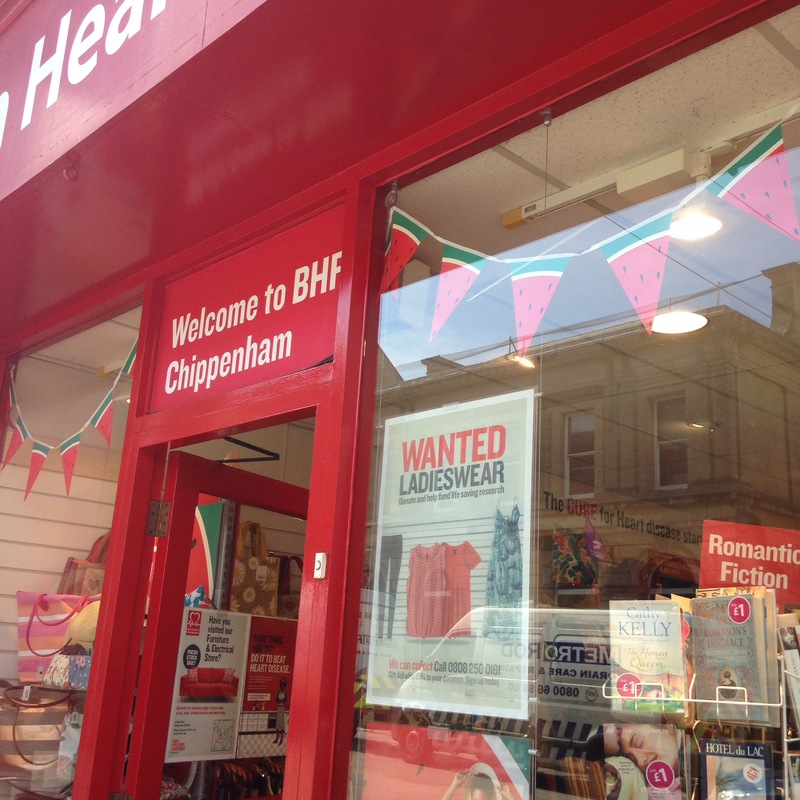 Dorothy House and British Heart Foundation are located in the centre of Chippenham. The furniture store Waste Not Want Not is on the outskirts. In the past we have donated, and bought from, all three of these stores. Love your sitting room! And of course, good finds. I got a blender through Freegle this weekend, so now I can make soups more easily 😊.